Fresh off a ninth-place finish in a typically topsy-turvy race at Talladega, Paul Menard and the No. 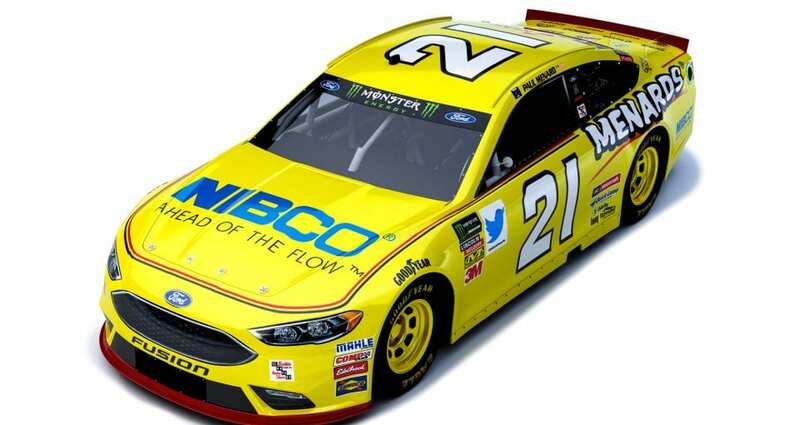 21 Menards/NIBCO team head to Kansas Speedway for the Hollywood Casino 400. The veteran driver said he’s feeling good about his team’s prospects for Sunday’s race. Menard finished sixth in the KC Masterpiece 400 at Kansas in May and has five other top-10s there in his career. He also is encouraged by the performance of his No. 21 Fusion showed in a recent test session at Kansas, and he’s interested to see how the race plays out. “We had good speed at the test, and we were surprised how fast the top groove came in,” he said. “You run right by the wall to get the best speed. Looking back at Talladega, Menard said he was proud of the way his team kept its focus despite falling two laps down early in the race because of a flat tire and the resulting green-flag pit stop. Qualifying at Kansas is set for Friday at 7:10 p.m. Eastern Time, and the race is scheduled to start just after 2:30 p.m. Eastern on Sunday with TV coverage for both events on NBCSN.